Distracted driving car accidents should be on the minds of any Floridians who plan to drive, walk, or bike given the recent deadly collision in a South Florida suburb. A recent article in The Washington Post explains how a new study on distracted driving was published just a day after this shocking collision that resulted in the death of a bicyclist and serious injury to numerous others who had been riding among a group of other cyclists in a suburban area. We want to say more about the recent car accident in South Florida, and then we will discuss the new study on the severity of distracted driving injuries. The report highlights the harms of distracted driving, and the ways in which failing to keep your eyes on the road and mind on the task of driving can be deadly. The distracted driving death occurred when the fatal injury victim, 53-year-old Denise Marsh, a graduate of Broward College and mother of two children, and 14 other bicyclists were riding together in a group. In addition to Marsh’s fatal injuries, six other cyclists suffered serious or life-threatening injuries. One of those individuals was listed as being in critical condition. The cyclists had been traveling together on Route 84 when a distracted 33-year-old driver crashed into the group. According to the report, the driver was “allegedly distracted by something in her car and sun glare.” Investigators will be downloading the contents of the driver’s cell phone to determine whether she was using it at the time of the crash. 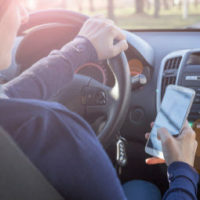 The new study on distracted driving suggests that injuries caused by distracted driving accidents tend to be more severe, on average, than injuries resulting from other types of motor vehicle crashes. Researchers at the Risk Institute at Ohio State University conducted the study, and they determined that distracted driving collisions that take place in work zones or on highways, as well as distracted driving crashes that are rear-end collisions, tend to be the most harmful. In these collisions, injury victims tend to sustain more severe injuries. At the same time, the researchers found that some types of distracted driving crashes—such as those that occur in roundabouts or in rotaries—tend to be less severe than other types of accidents. As such, the research recommends redesigning certain roads with distracted driving injury prevention in mind. At the same time, reconfiguring roads to include more rotaries and roundabouts would not do much to help cyclists like those involved in the deadly crash. In addition to considering road construction, the research emphasizes that more distracted driving enforcement efforts must be made. Currently, texting while driving is a secondary offense in Florida, which means a driver can only be ticketed for it if there is a primary offense for which the police can initially stop the driver. In other words, you cannot be stopped for texting while driving, but you can be cited for it if there is another violation that permits a stop by a law enforcement officer. Distracted driving collisions can be devastating. If you or someone you love was injured in a crash caused by a distracted driver, you should discuss your options with a West Palm Beach car accident attorney as soon as possible. Contact Lesser Lesser Landy & Smith PLLC today to speak with a personal injury lawyer.